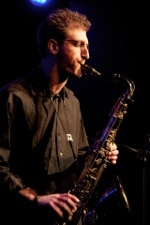 Peter Kronreif had met alto saxophonist Andrew Gould, who was a Master Student at the Manhattan school of Music at that time, already in 2003 at a session at SUNY Purchase. 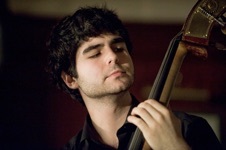 Gould introduced him to his fellow MSM students Mike Rivett and Florian Hoefner; later bassist Linda Oh joined the band for their first recording. Since Peter had been composing music for several years, some of which had already been played and recorded by other groups, the band went to the studio right away to put out their first album in March 2010. The record "Gloaming" was released on the Viennese label Session Work Records. German journalist Roland Spiegel from BR Klassik: “a CD that truly is a discovery. Here Kronreif proves to be not only a drummer of great refinement, but also as a very gifted composer of atmospherically grabbing jazz-tunes (...) Elegiac saxophone lines, a soft flowing rhythm, quiet islands for solos. A musical Gloaming, shimmering and tremendously beautiful (...) Seven pieces on the record were written by Kronreif himself, one by Hoefner – and they all distinguish themselves by dealing with the classic jazz-quintet line-up in a very fine way. They have stirring heads, which often at the same time are lyrical and impress with extremely skillful line composing. 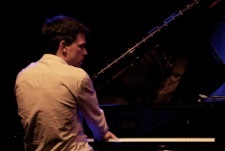 They evolve through rhythms packed with unexpected accents.” And the jazz-magazine Concerto states: "Sensitive compositions, in which he (Peter Kronreif) doesn't push himself to the fore, characterize the acoustic appearance and convey a feeling of a certain serenity. "The band went on tour in Germany and Austria in March and April of 2010 as they released their debut album with great success. 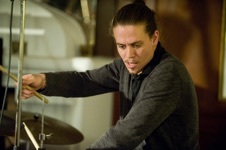 When Kronreif moved to New York City in 2011 he could finally work more constantly with his band. 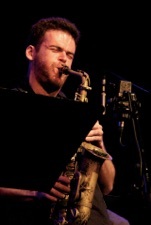 Since former member Mike Rivett had moved back to Australia, the band was joined by Matt Marantz on tenor; the young bass player Martin Nevin joined the band as well for another on tour in Europe in March 2012.